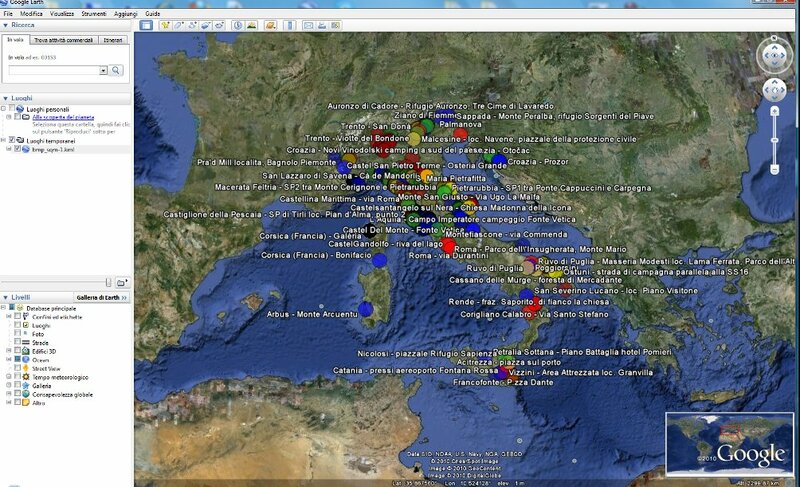 Esempio di visualizzazione tramite GoogleEarth. The BuioMetria Partecipativa data are available in KML format, for immediate visualization via Google Earth (or any other software reading the KML format ). Each point has the place name, the average SQM reading and the number of measurement taken at a given location. For a full access to the parameters associated to each measure, you should then refer to our main database. Click on this link to retrieve the KML data (updated weekly). 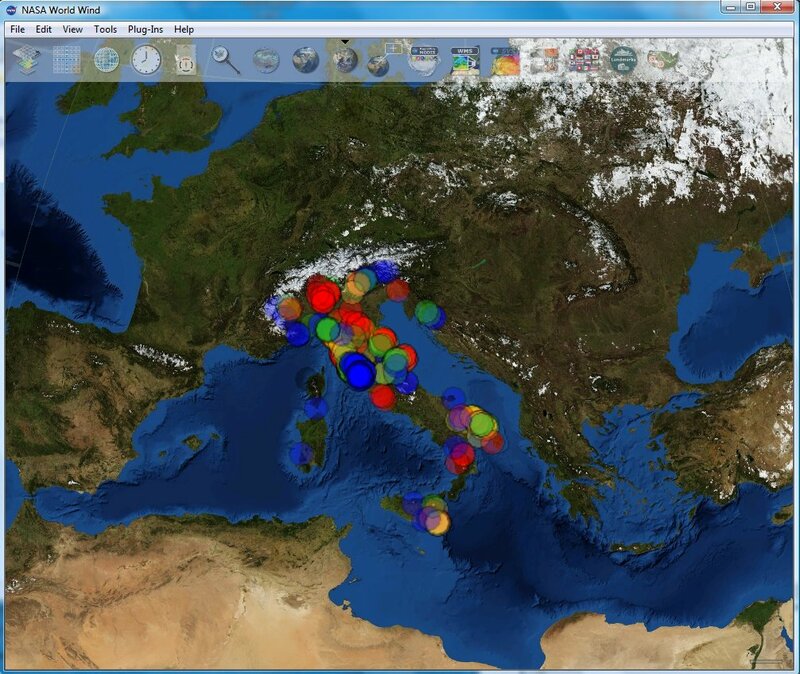 Esempio di visualizzazione tramite WorldWind. Please remember that the BMP data are released under an Open Database License.